Your one stop resource for rare vintage film collections, book archives and much more convenienty packaged in CD and DVD format for your enjoyment. Browse our shop where you will find all manner of history, genealogy, war and nostalgia items for your continuing education and entertainment. From vintage TV commercials to memorable moments in history, our many products are sure to satisfy your educational itch. Ohio had many participants in the Civil War. 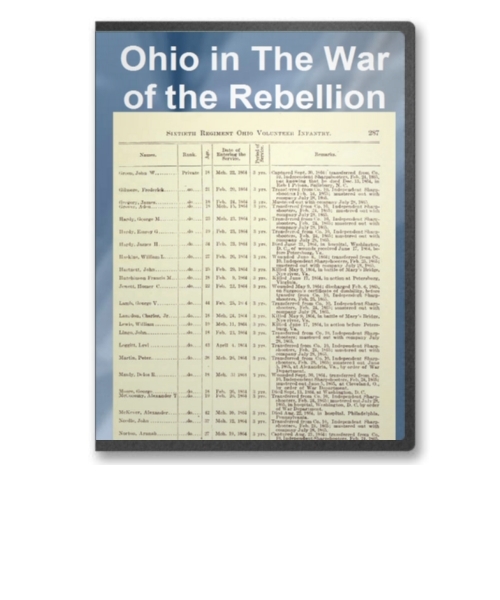 This collection of books on CD details every imaginable activity conducted by an Ohio soldier. It is a tremendous genealogy source as well as an astonishing glimpse at the war from the perspective of soldier participation.